Being a mom is no easy feat. It takes unconditional love and incredible patience for moms to nurture and provide for the needs of the family, every moment of every single day. With all its demands and challenges, motherhood is truly a 24/7 selfless job, yet there are still people who label moms as either “working” moms or “stay-at-home” moms. But is there really such a thing as a part-time mom? Aren’t all mothers full-time moms? These are just some of the questions that Red Ribbon evokes with its brief but heart-warming Mother’s Day digital video. Red Ribbon makes a bold statement as it banks on one simple yet special truth: There is no such thing as “working” moms or “stay-at-home” moms; that the true measure of motherhood is the unconditional love and care she gives to her family. The story shows the life of two moms who chose different paths. While they walk on seemingly different roads, their lives diverge at one mutual and integral point – their love for their family. Both moms do their best to make their families feel loved, whether it’s buying a costume online with the addition of final touches for their little ones or sewing it themselves. This Mother’s Day, Red Ribbon aims to strip off the labels and end the divide, unifying and celebrating all moms for their nurturing affection and selfless support for their families. Aside from Red Ribbon’s touching Mother’s Day video, the well-loved bakeshop proves they understand moms best by offering a wide range of delectable cakes catered to different tastes that lets people truly show how special their moms are. For mommies who love fruity flavors, there’s the Peach Mango Symphony, a three-layered chiffon cake with a mango filling, white frosting icing, and topped with peach slices, mango glaze, and a cherry, for P600. One can never go wrong with Red Ribbon’s timeless favorite Black Forest, a moist chocolate cake with cream and cherry filling, and embellished with chocolates and cherries, for only P565. 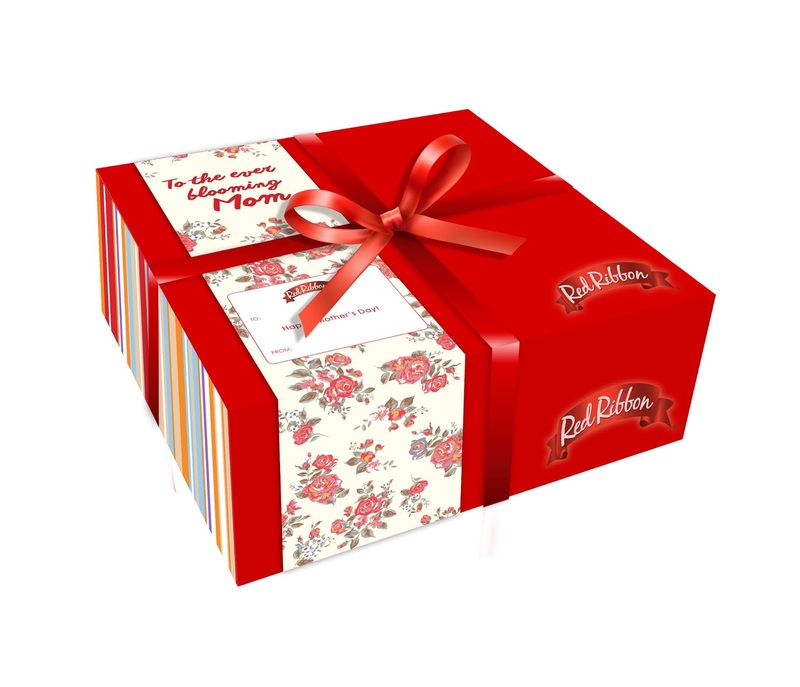 The sweetest surprises come in the finest packages and for mom’s special day, Red Ribbon will be offering limited box sleeves and dedication card toppers. With every purchase of select Red Ribbon cakes, customers will receive a Mother’s Day card from May 1 to 13 and a floral box sleeve from May 7 to 13. Join the conversation and check out the Red Ribbon Mother’s Day video at goo.gl/fZzvUz. Now’s the time to show how you care a little bit more for the woman who’s cared for you all your life. Head over to Red Ribbon to grab the sweetest treats specially for moms!